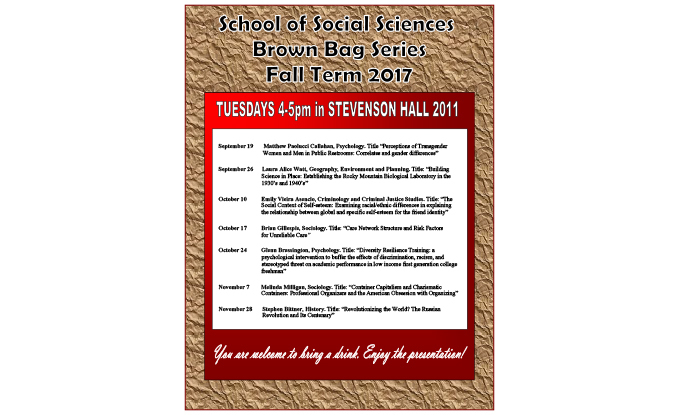 The Brown Bag Lecture Series returns to Sonoma State University this fall, featuring a selection of speakers from the School of Social Sciences. Those interested are invited to pack a lunch, as lectures are from 4 to 5 p.m. in Stevenson 2011. 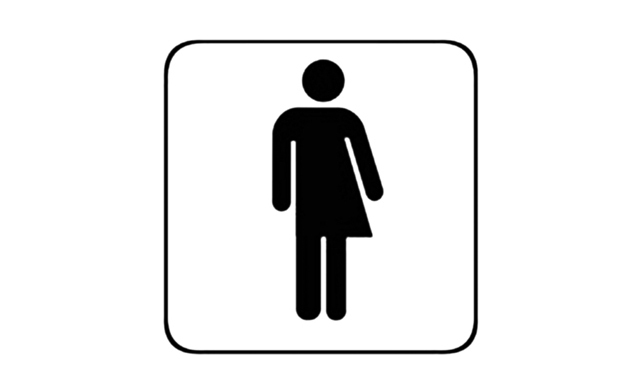 The series kicks off with a lecture by psychology professor Matthew Paolucci Callahan on the perceptions of transgender women and men in public restrooms. Lectures are free and open to the public, parking on campus is $5-$8. For more information visit https://www.sonoma.edu/socsci/involvement/public-lecture-series.html.